All of Fort Lauderdale’s nightlife is within a 5 to 15-minute drive from the Coral Reef Guesthouse. So are theaters, restaurants of all types, coffee bars, museums, historic sights, Hugh Taylor Birch State Recreation Area, The Broward Center for the Performing Arts, and the scene on Las Olas. Even closer, and within walking distance, are the Sunrise Harbor Shops, Gateway Shopping Center , several popular restaurants and the Galleria Mall, with top-notch department stores and a variety of eateries. 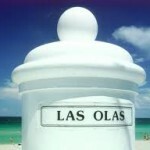 Miami Beach is less than an hour’s drive, and Palm Beach, about an hour and fifteen minutes.